End your week on high with our Extended Happy Hour Offers between 9 pm and 1 am every Thursday. Buy 1 Get 1 Free !!! Music By DJ Chris. 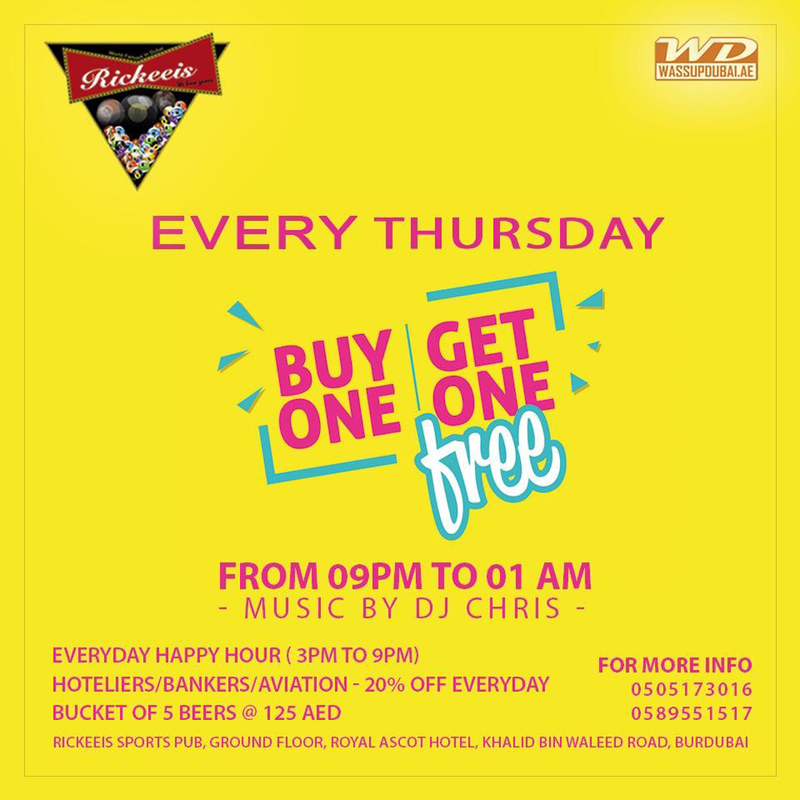 See you at Rickeeis Sports Pub (Ground Floor, Royal Ascot Hotel, Bur Dubai). For info call 050 517 30 16 / 058 955 1517.